We are a manufacturer, supplier & dealer of Lab Curing Bath. We are instrumental in offering Lab curing Bath to clients. This range is rendered in different specifications, in accordance with the varied demands of patrons. We are a manufacturer, supplier & dealer of Laboratory Curing Bath. We hold the expertise to offer a range of Laboratory Curing Bath. This range comprises a temperature sensor and platinum resistance thermometers. The offered range is ideal for maintaining a constant temperature. Also, our offered range is available in different forms, as per the diverse requirement of our customers. This curing bath is offered at affordable prices. The offered range is ideal for maintaining a constant temperature. Also, our offered range is available in different forms, as per the diverse requirement of our customers. The offered range is ideal for maintaining a constant temperature. Also, our offered range is available in different forms, as per the diverse requirement of our customers. This curing bath is offered at affordable prices. This lab curing bath is developed by making use of hi-tech machines, in strict adherence to the highest quality standards. In addition to this, the inner chamber of these labs curing bath are developed from stainless steel and outer chamber is made from duly coated mild steel. We are a manufacturer, supplier & dealer of Laboratory Water Bath. 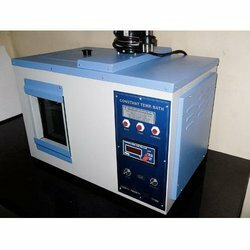 We are involved in offering Laboratory Water Bath which is manufactured by our dexterous personnel in the strict match with the industry standards. 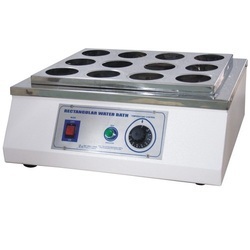 This laboratory water bath is designed with utmost precision, with respect to the varied requirement of our patrons. The offered range is available to patrons in different sizes, as demanded and is capable of generating three different alarm tones as per the choice. Our company deals in offering Curing Tank to our customers. 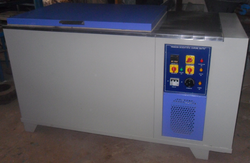 Known for their superlative quality and reliable performance, these curing tanks are in huge demand among our client base for their easy operation and high tensile strength. These are fabricated and designed by our expert team using best raw material which is sourced from the certified vendor. In addition to this, these tanks are available in varied customized specifications as per customer needs. “MIGHTY INSTRUMENTS” Constant Temperature Bath is designed to inner made of stainless steel and outer made of mild steel sheets and attractively finished in powder coat paint.